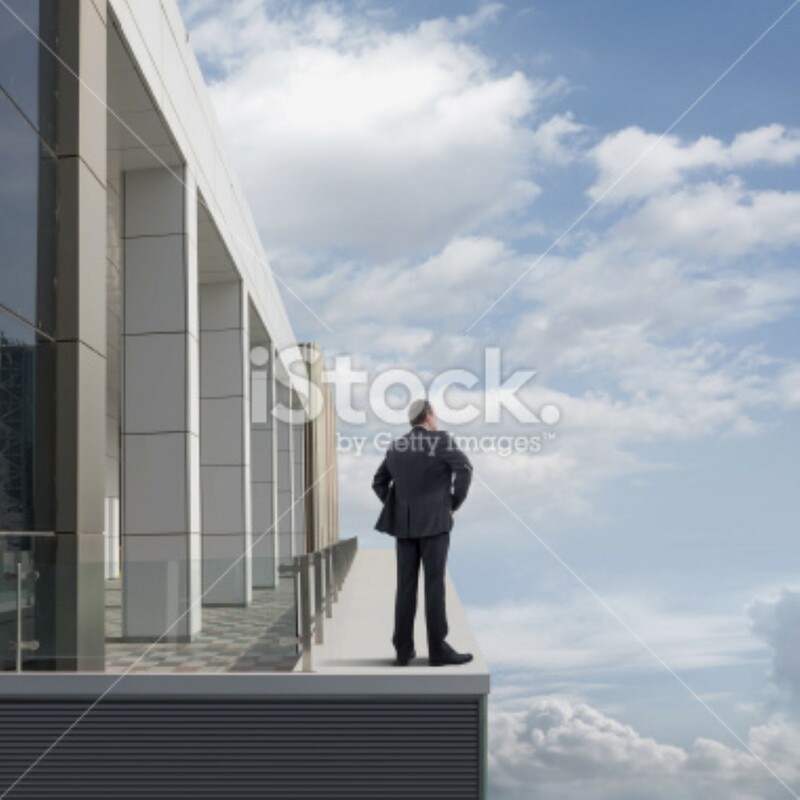 Rear view of businessman standing and looking on the rooftop of a skyscraper with cloudy sky background. He is looking further, thinking and searching new ideas. Digitally generated image.